This week I returned from a fantastic national education conference. I wrote it about extensively on my blog, but I haven't yet shared the most profound moment of the entire weekend. In fact, it was the most profound moment I've experienced since…well, probably since I met the man on the train a few weeks ago. Though I've attended this conference before, for some reason, I felt a little off kilter in the first 24 hours of it this year. I was among a lot of people and situations that alternately made me feel more important than I really am, and less important than I really am. 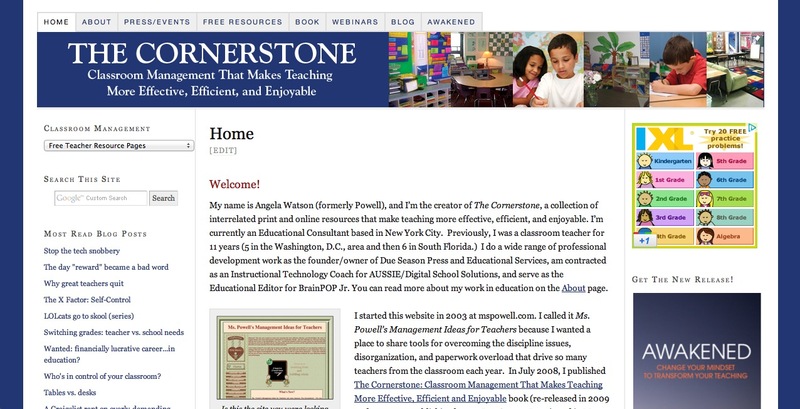 At times I felt like an incredibly accomplished blogger with a powerful platform: an edu-celebrity, even. Then I'd take a look at the people around me who had ten times as many "followers" as I do, who command unfathomable sums of money for their speaking appearances, and I'd think, Who am I to be included with this group? I don't have anything of value to offer, not compared to what they're doing. I'm not smart enough, or experienced enough--what I have to say is not unique or valuable. And then, at noon on Sunday, everything fell into perfect perspective. I had about an hour to interview several Very Important Authors about their books and conference sessions. I first sat down with Persida and William Himmele (who wrote the book Total Participation Techniques, which I'll be reviewing and giving away on The Cornerstone blog soon.) There was something about this husband and wife team that drew me to them immediately; a sincerity, a sense that they genuinely want what's best for kids, a humility and down-to-earth presence that I really liked. I took copious notes, taking in every word they shared. I don't remember how we even got on the topic, but William at some point said, "When Persida and I were doing prison ministry..." and my jaw dropped. I don't even think I let him finish the sentence. "You do prison ministry? So do I!" and promptly derailed the entire conversation to talk about the things we learned about teaching, children, families, and the love of God through our work in prisons. Knowing the spiritual connection this couple had made to their work made their ideas even more powerful. Sooner than I would have liked, we ended the interview so that we could both attend to the other people we needed to talk to. 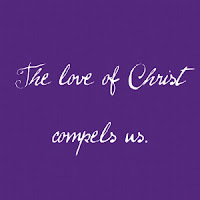 And that's when a still, small voice prompted me: the love of Christ compels us. If we are out of our mind, it is for the sake of God; if we are in our right mind, it is for you. For Christ’s love compels us, because we are convinced that one died for all, and therefore all died. And he died for all, that those who live should no longer live for themselves but for him who died for them and was raised again. It's a complex passage, and I'll have to dig in more deeply to fully get what Paul was conveying. But that day, sitting in the press room at the convention center, I immediately understood the big idea, and it's this: I'm not living for myself or following my own agenda. I live for Christ. And it is His love which must compel me in everything I do. The world has its own priorities and agendas. And it's good for Christians to participate in some of them. Improving the state of education and empowering teachers to meet kids' needs is a high and worthy goal. But I am in those conversations about the world, I'm not of them. I want to be Christ's ambassador. I want to represent Him and His purposes…and His purpose is to reconcile everyone to God, to draw us all nearer to our Creator who loves us. Everyone won't understand that, and I may seem "out of my mind" to some. That's alright. Let others have their goals. Increasing Twitter followers, selling books, speaking at conferences...these are all good and honorable things. But let it be the love of Christ that compels me. Let the love of Christ refocus me, set my priorities and purpose, and determine how I feel about myself. Let the love of Christ impact everything I say and do. Let it move me to kindness and positive action. Above all, clothe yourselves with love, which binds us all together in perfect harmony. I hope that this will be your prayer, too. Ask God to show you what really matters in your classroom, so that it's not a nagging fear of being laid off or the pressure having low test scores that compels you to make it through each day, but the love of Christ. Allow God to help you act not from a sense of obligation or duty but from His love. Allow Him to make His presence known to you, so that His love will be so all-encompassing, so overwhelming, so unfathomable that you cannot help but be compelled by it in every aspect of your teaching. There are moments when you will surely feel inadequate or overburdened, weighed down by the sheer magnitude of your work and the number of demands that constantly come pressing in. You will sometimes lose your sense of perspective and allow your priorities to shift in unbalanced ways. But there is nothing that can separate us from God's love. It is the driving force behind all that we do. Return to this thought again and again. 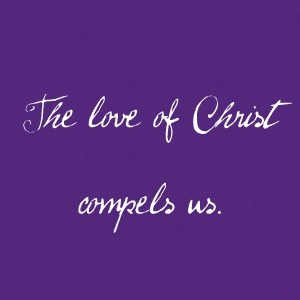 Keep it front and center in your mind: it is the love of Christ that compels us. Thank you for your words. Even before I read them this morning, the Holy Spirit really convicted me of my insignificance...I am NOTHING without Christ!! I need to set my priorities around His priorities, NOT my own. Thank you, for your encouragement. I am printing this off for the Christian teachers at my school (I am a teacher's aide). Have a blessed week!! Thank you so much for sharing this! I absolutely LOVE it!!! Going to print it out and save it for future references! As I sat down at my computer late Sunday to finish up the school work I put off all weekend, I procrastinated yet again and checked my email. I decided to read your devo, which I don't always do immediately. I read the whole thing slowly, and it really spoke to me. Thanks for sharing Christ's love to those who need it! (us teachers do!) Ok, off to grading those essays! Blessings! You're new devotion is so dead-on when you are writing that we need to be compelled by the love of Christ in our classrooms. The road has been paved with tough roads lately at school & yes, I have questioned why me Lord? Over the past weeks I have drawn strength from the many reminders from parents, children, and my family as to why God placed me in this profession - to be a light for him and to let that shine through me. 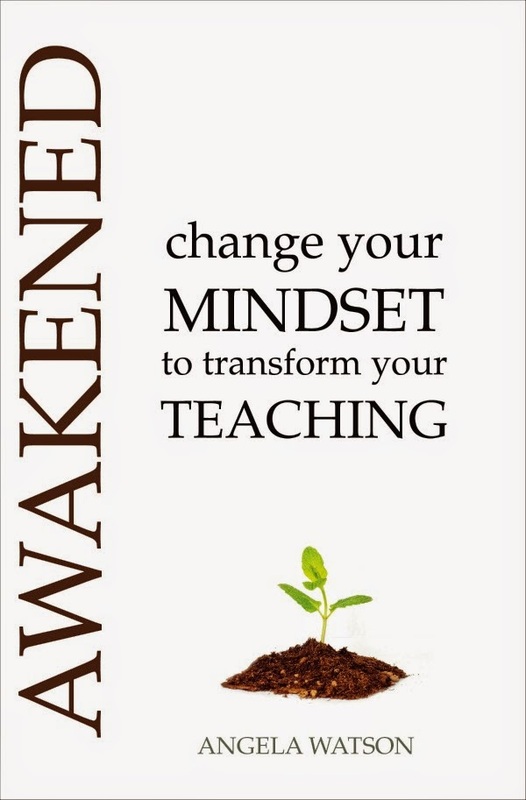 It's been so easy to let myself get caught up in worrying about and obsessing over the wants and demands from administration over particular methods of delivery of new units and compounded by the changes the Core Curriculum Standards are bringing. The magnificent compelling love of Christ is unwittingly pushed into the background. I want to thank you for sharing your heart, compassion, and emotions with teachers such as myself. 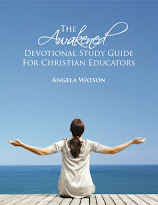 As I read Awakened I even felt as if somehow you took a piece of my life and wrote it down for me. It is amazing and comforting to be reminded that we are not in this alone. We have colleagues near and far, some we know on a personal basis and others are sisters-in-Christ, but most importantly we have our sovereign God who is always with us. Thank you again for these devotions and all of the advise and encouragement given through all of your media. God is truly using you to shine his light. Thank you for your devotional. I have been struggling at school regarding my identity from the educational perspective versus God's perspective. I have just been placed in a forced resignation. Long story but God has used so many scriptures; fortune cookies; and now your devotional that I am finally getting the point but more so that God is showing me that my Identity is in Christ and not what the educational system says. My worth is in Christ and my only evaluation that counts is the one Christ gives me. I just wanted to say thanks for your blog. Have a great day! Thankful and Blessed to hear this! My eyes welled up as I read your post and the comments that followed. Sometimes teaching is so stressful and nothing ever feels "done." I've been under so much pressure this year--not only at work, but dealing with family issues and some severe disappointment. However, God reminded me through this post, that I need to give my burdens to Him. My focus should be allowing myself to be compelled by and wrapped up in His love. I can't control other people or situations, but I can make a decision to be controlled by Him. I feel like a weight and load of anxiety has been lifted! I'm praying that He will give me the strength to keep trusting Him! Thank you so very much for this post and have a blessed Easter!